This Project has been part-funded by North Tipperary LEADER Partnership under The Rural Development Programme 2007-2013 which is financed by the EU through the European Agriculture Fund for Rural Development and by the National Exchequer through the National Development Plan. 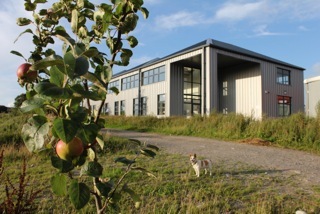 WeCreate is based in Cloughjordan Ecovillage, an award winning community pioneering in the areas of green building, renewable energy and local food. WeCreate supports digital fabrication projects in these areas and aims to share open source hardware and software solutions that enhance community resilience. Copyright © 2019 WeCreate. Powered by WordPress. Theme: Spacious by ThemeGrill.